Follow @howlround for live updates related to the livestreaming event. Perhaps no one believes this more than Fractured Atlas, a national arts service organization that works to empower artists and cultural stakeholders and eliminate systemic and practical barriers to expression. While they were ensuring the resilience of the wider cultural ecosystem, the staff at Fractured Atlas discovered that they had failed to secure a healthy, egalitarian, and collaborative culture in their own office. What came next was an evolution and trial by fire that resulted in some of the most inclusive practices in the field. Join Courtney Harge, Member Advisor, and Lauren Ruffin, Chief External Relations Officer, for a presentation on the journey they went on with Fractured Atlas to create a truly equitable workplace. Executive Directors, Middle Management, Artistic Directors, Human Resources staff, and anyone who has co-workers. 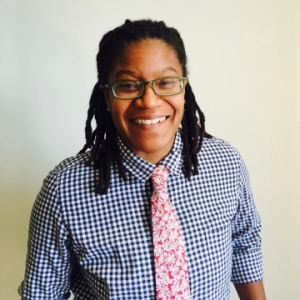 Courtney Harge is a producer, director, and professional arts administrator originally from Saginaw, MI. She is the Founder and Artistic Director of Colloquy Collective, a theater company based out of Bedford-Stuyvesant, Brooklyn. She has worked for the Elaine Kaufman Cultural Center, Theater for the New City, The Public Theater, Gibney Dance, and, most recently, the New York Foundation for the Arts with a focus on institutional fundraising, crowdfunding, and fiscal sponsorship. She holds a Masters of Professional Studies, with Distinction, in Arts and Cultural Management from Pratt Institute and a Bachelors of Fine Arts with Honors from the University of Michigan in Theater Performance. Her credo (#HustlingKeepsYouSexy) is not merely a hashtag; it’s a way of life. 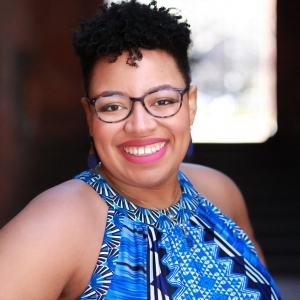 Lauren Olivia Ruffin is Fractured Atlas’s Chief External Relations Officer, responsible for the organization’s marketing, communications, community engagement, and fundraising. Prior to joining the team at Fractured Atlas, Lauren served as Director of Development for DC-based organizations Martha’s Table and the National Center for Children and Families. She was also fortunate to serve in various roles at and various positions at the NAACP Legal Defense Fund, Children’s Defense Fund, New Leaders, and AAUW. Before entering the nonprofit sector, Lauren held the position of Assistant Director of Government Affairs for Gray Global Advisors, a bipartisan government relations firm. She graduated from Mount Holyoke College with a degree in Political Science and obtained a J.D. from the Howard University School of Law. In her spare time, she can be found mountain biking or gesturing wildly at the teevee in support of Duke University’s men’s basketball team.